Jeremy Passinault is the best tree climber in New York State, and Brian Krawczyk is the runner-up. That’s not just in Dave Dailey’s opinion. It is the opinion of some of the top arborists in New York State. You see, Jeremy won the New York State Arborists’ annual Tree Climbing Championship last Saturday (June 23) from among 29 contestants, and Brian was runner up. 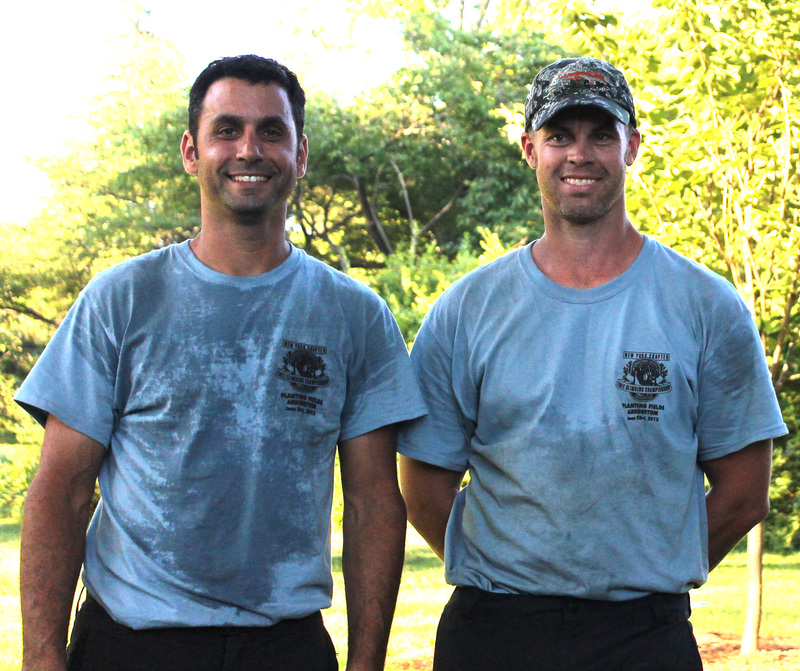 The competition was sponsored by the New York State Arborists, ISA (International Society of Arboriculture) Chapter. To win, the climbers journeyed to Planting Fields Arboretum in Oyster Bay on Long Island. There, they had to compete in five challenge events to qualify for the Masters Challenge. The Masters Challenge consisted of a single climb, during which the climbers have to perform simulated work tasks. For his win, Jeremy won a package of climbing equipment, plus a new chain saw. He will use the equipment when he competes in the international Tree Climbing Championship, August 11, in Portland, Oregon. This was Jeremy’s first NYS tree climbing championship win, but winning this event is nothing new to Birchcrest climbers. Brian won in 2006, 2007 and 2009. Jorge Obando, another champion climber from Birchcrest, won in 2010 and 2011. Brian took second in those championships, too. Jorge was not able to compete this year due to other commitments.Congratulations, Jeremy. This was your year to win. Good luck in Portland! Oh ! its a great job. Your posting is really true as well as helpful for all. These key factors must need to in consideration to sale our home. Thank you for sharing with us.keep it up.